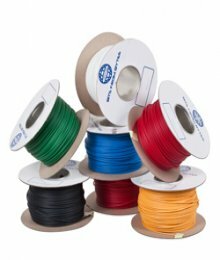 The most common type of home 3D printers are extruders and they regularly use ABS plastic and PLA plastic, with refills often coming in the form of 1.75 or 3mm spools of filament. Selective laser sintering (SLS) and direct metal laser sintering (DMLS) printers use a laser to fuse together a powder, or liquid gel, in selected areas. This type of techonolgy can be used to print a great variety of materials including ceramic, metal or glass. See below for more. ABS Plastic - A strong & tough material with the highest level of dimensional accuracy. Polyamide - A strong and flexible material with a high level of detail. Alumide - Polyamide-like material with a distinctive look. Multicolor - A full color material. High detail resin - Able to produce fine details on this photopolymer. Transparent resin - A see through material. Titanium - Light and the strongest 3D printing material in the world.